We are delighted to be taking part in the Adopt a Composer scheme. The scheme pairs amateur choirs, orchestras, and ensembles with a composer for one year. The composer works with the performing group over the course of 12 months to produce a new piece of music, culminating in a première performance. 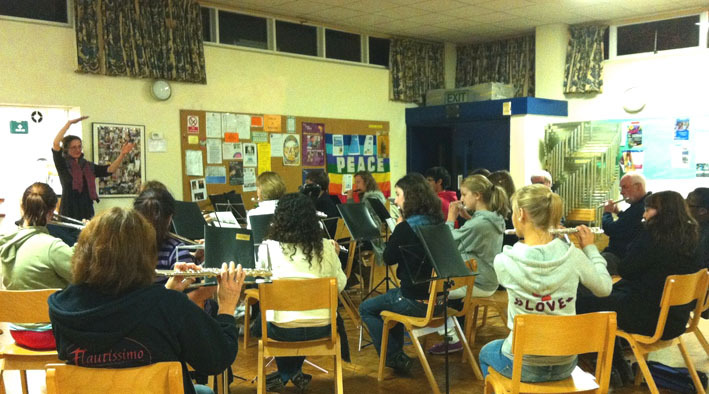 The project costs nothing for the group involved as it is funded by the PRS for Music Foundation. The scheme is run by Making Music and Sound and Music and supported by BBC Radio 3 (who record each of the premiere performances). As one of only six groups selected to participate in the 2011/2012 scheme, we are working with our 'adopted' composer, Ruta Vitkauskaite. We look forward to performing the premiere of the commission Baltic Dunes on Saturday 7th July at St Michael's Church, Southampton. For thoughts throughout the project from both Ruta and Flautissimo members see the Adopt a Composer blog.